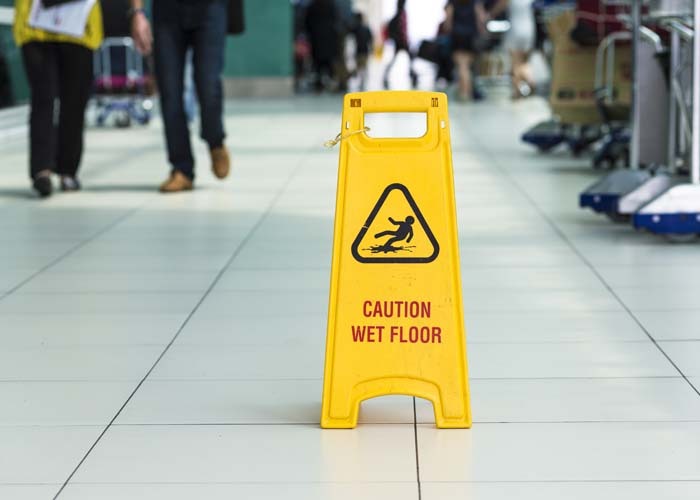 Do you want to estimate the value of your slip and fall claim? Contact a Farmington slip and fall accident attorney to find out more. Get a free consultation by calling Jardine Law Offices, P.C. offices at 801-350-3506 or complete this contact form. Home > Blog > How Much Are Slip And Fall Cases Worth? Let’s Estimate Your Settlement! If you slip and fell on someone else’s property, you’re probably thinking about filing a premises liability lawsuit against the property owner. But before taking legal action, it’s highly advised to estimate the value of your claim in order to have an upper hand and know what settlement would be fair and what would be unacceptable and outrageous. How much is a slip and fall settlement? Here at Jardine Law Offices, P.C., we have a short answer to the question how much a slip and fall case is worth: it depends. But don’t get mad just yet – there is really no way to estimate your settlement without knowing every single detail about your case. That’s because factors contributing to slip and falls vary greatly from one case to another. Also, it depends not only on the severity of your injuries and damages but also on the property where the accident occurred and your legal status (did it happen in a shopping mall or at someone’s house? Were you a licensee, invitee, social guest or trespasser?). If you win a settlement after proving the property owner’s fault with the help of an attorney, at the very minimum, your slip and fall claim will cover your medical expenses. Under New Mexico premises liability laws, a slip and fall victim is entitled to recover at least the value of his or her medical bills incurred after sustaining the injury. Whether or not you’re entitled to pain and suffering damages, lost wages, loss of earning capacity and other damages, depends on your circumstances and your legal representation. Typically, hiring an experienced attorney can help recover more damages than hiring a mediocre lawyer or not being represented at all. Our best premises liability attorneys in Farmington note that when it comes to recovering medical bills, all expenses must be calculated, including past, present, and future expenses. Never settle for less than you deserve. In order to estimate the value of pain and suffering damages in a slip and fall claim, it’s important to understand that it depends on the severity and permanency of your injuries. The more severe your injuries are, the larger the compensation. The same principle applies to the permanency. For example, a slip and fall victim who broke his finger will most likely obtain a smaller pain and suffering compensation than a victim who damaged his back and will not be able to stand up straight for the rest of his life. In minor injuries, the value of pain and suffering damages is typically 0.5 times the value of your medical bills. How are lost wages, and loss of earning capacity, calculated? Many Americans are confused about how jurors and judges calculate lost wages and loss of earning capacity. If your injury, sustained on someone else’s property due to their negligence or the failure to exercise a high standard of care, makes it impossible to work, you may be entitled to lost wages. In order to determine the amount of lost wages, your attorney will have to verify your typical salary or wage rate and calculate how many days or weeks you were and will be out of work as a result of the injury. As for the loss of earning capacity, your lawyer will determine whether or not you are no longer capable of earning as much as you did prior to the injury either temporarily or permanently. The value of the loss of earning capacity will depend on the permanency of your diminished capacity to work.